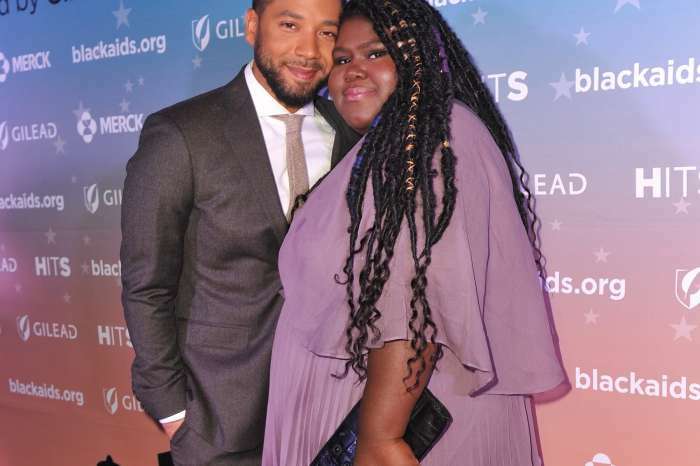 Gabourey Sidibe is into aerial yoga, and this impressive picture shows that she is having a ball. Recently, the “Precious” actress took to Instagram to give her fans an update on her fabulous life. The talented and outspoken New Yorker revealed that after her amazing trip to Barbados, she has found a new passion in life. The star of “American Horror Story” shared a head-spinning photo where she is wearing chic workout gear and hanging upside down in an antigravity yoga hammock. Sidibe looked serene as she partook in the activity. According to experts, aerial yoga promotes better flexibility and releases tension on the bones and muscles. Fans found the post inspirational and brave. When not enjoying yoga, Sidibe is hard at work promoting her new book, “This Is Just My Face: Try Not to Stare” and blasting haters who criticize her body. Last week, Sidibe sat down with Janet Mock on her podcast, “Never Before,” and slammed so-called friends who body-shamed her while pretending to be concerned for her health. Tried aerial yoga today. I was hella graceful fam. In the book, she explained that she started struggling with her weight at the age of 6. In 2016, she underwent laparoscopic surgery after being diagnosed with Type 2 diabetes because she feared how it would impact her life in the future.